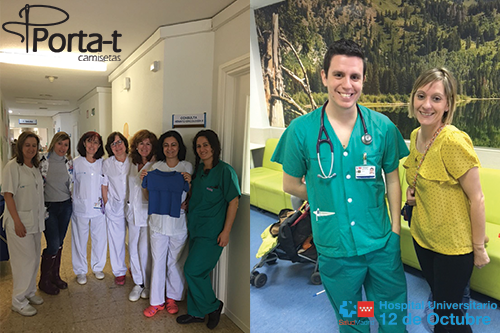 Team of nurses from 12 de Octubre Spanish Hospital 12 want to improve the quality of the patients, so they bet on our t-shirts. It is very human to put yourself in the shoes of other people. 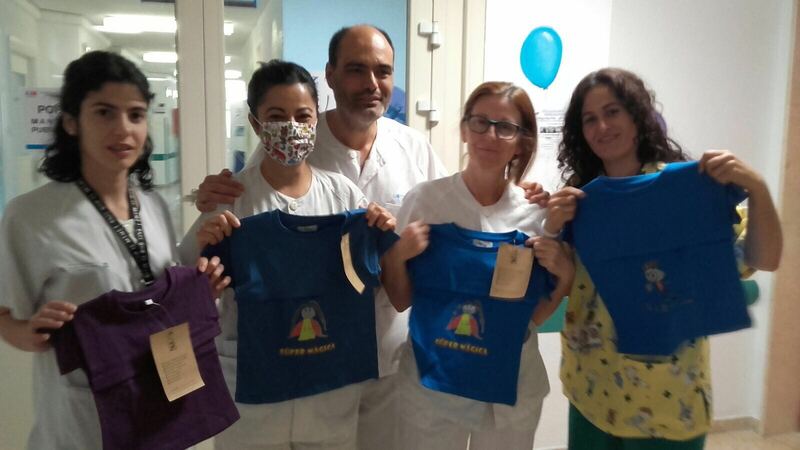 Team of nurses, coordinator and doctor of child oncology of the 12 de Octubre hospital in Madrid. Practicality is not just about healing and prevention. 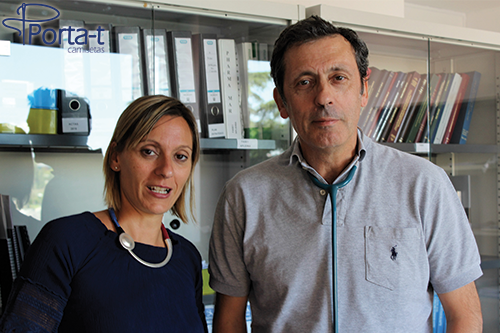 With Luis Paz-Ares, Medical Oncology department, chair University Hospital 12 de Octubre Associate Professor, Universidad Complutense de Madrid. Meeting held with a very positive assessment, bet on the shirts and offers to help a new clinical trial of infant immunotherapy. 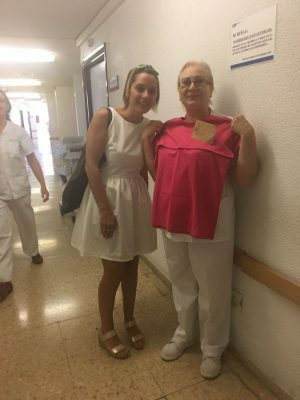 With us the entire medical elite, betting on Porta-t shirts. Thanks for the confidence.